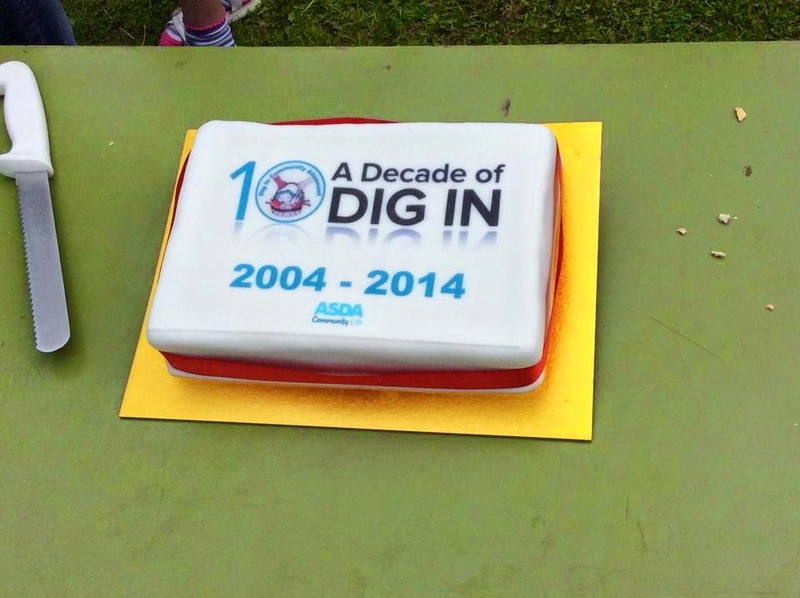 A big thank you for everyone who attended our Decade of DIG IN event on Saturday 23rd August. Apart from a short, light shower, the weather stayed warm and dry, which added extra icing on the celebration cake generously provided by ASDA Long Eaton, along with fresh fruits and other ingredients for the cream teas. 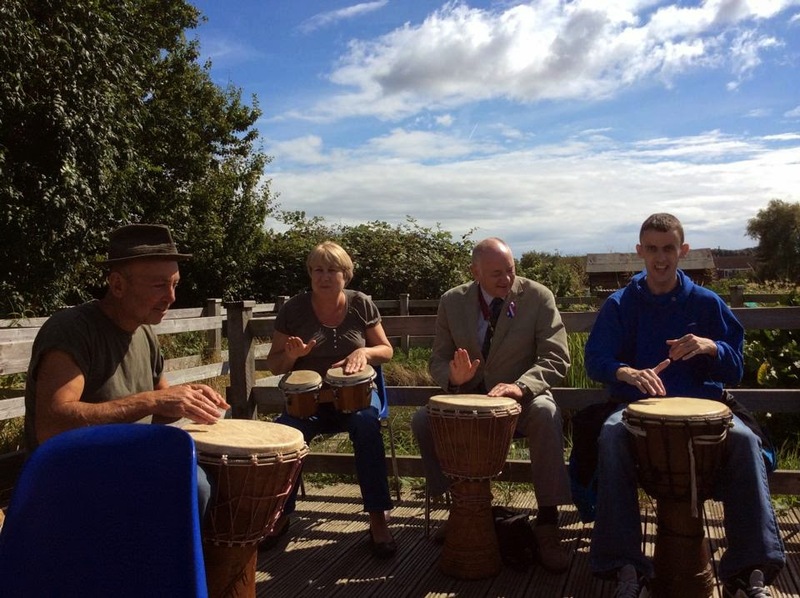 The event was attended by over 100 visitors and from the comments and feedback received, was enjoyed by both guests and helpers alike. Many thanks to the volunteers, groups and funders who have supported us over the years and we look forward to the next decade of DIG IN. A special thanks to Alan Withington (RCAN), who pulled out all the stops to ensure the new catering shed was usable on the day and for much of the infrastructure development. Stapleford Town council for their generous funding and support, Pulp Friction for the wonderful ice cream and wine, Tracey Lloyd on the musical instruments, Jon from ASDA, Pete and James on the drums, Claire on the face painting, the local knitters for their contributions towards the community blanket and the hard work of the DIG IN committee, volunteers and local community who made it possible. We hope to see everyone back for our Harvest Celebration event on the 18th October 2014. 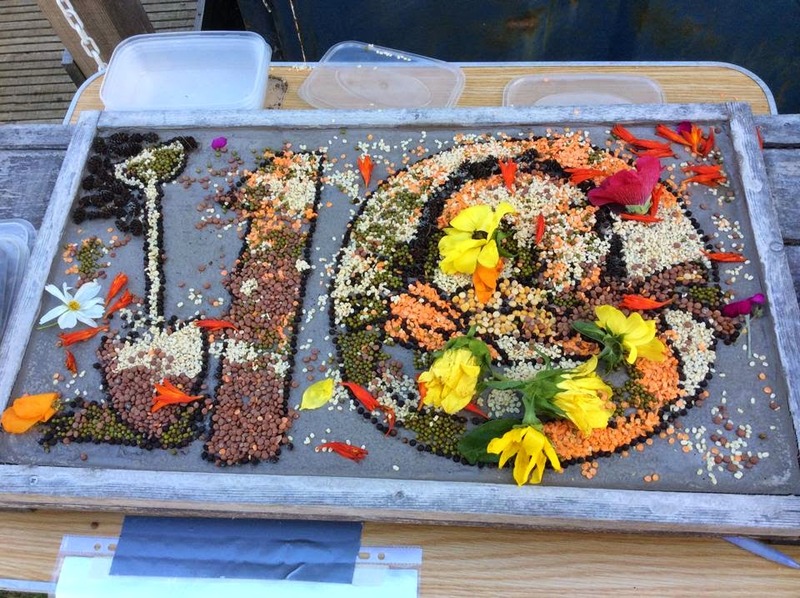 Thanks for the poem from Dave Wood, local poet- to celebrate DIG IN's tenth anniversary. Dave has been involved with DIG IN since we started, supported us at events, got his hands dirty and sung our praises when needed. Cheers Dave! the laughs the jokes - and o the corn!